Johnny Oleksinski at the New York Post pans the John Travolta John Gotti. I’d rather wake up next to a severed horse head than ever watch “Gotti” again. The worst movie of the year so far, the long-awaited biopic about the Gambino crime boss’ rise from made man to top dog took four directors, 44 producers and eight years to make. It shows. The finished product belongs in a cement bucket at the bottom of the river. 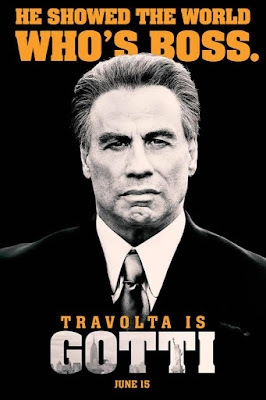 Keeping this mafioso mess alive throughout all the turmoil has been John Travolta, playing John Gotti. Travolta, who’s made a career out of Italian stereotypes, obviously thought the Dapper Don would be his Don Corleone. It’s his Chef Boy­ardee. In one scene, he yells “whatsamattayou? !” and slaps one of his minions. 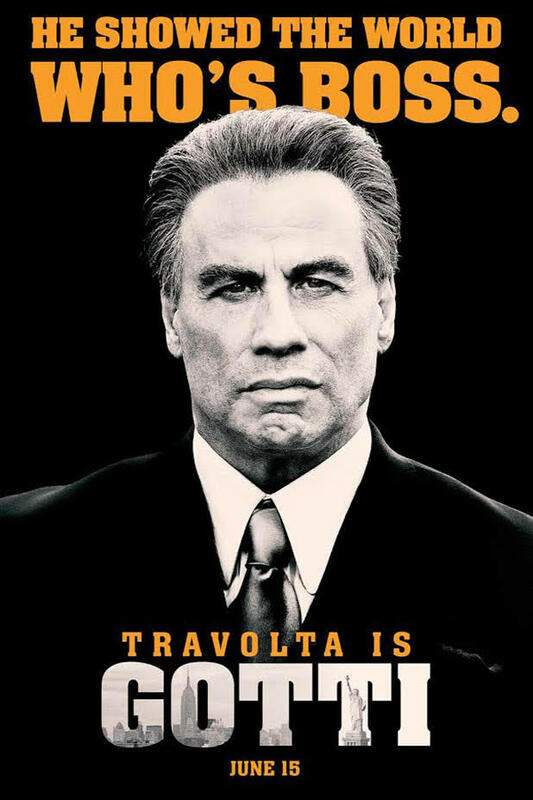 In another, after John “Junior” Gotti starts a bar fight where a guy winds up dead, Travolta screams, “You c–ksucker! This is gonna ruin your life!” and again slaps him in the face. His performance is a leather-faced freak show. And the plot is nonsensical. 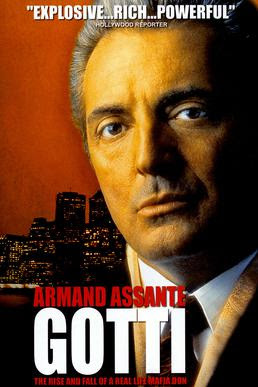 Note: The HBO film Gotti with Armand Assante as John Gotti was a fairly good film. Armand Assante received an Emmy Award for best lead actor.